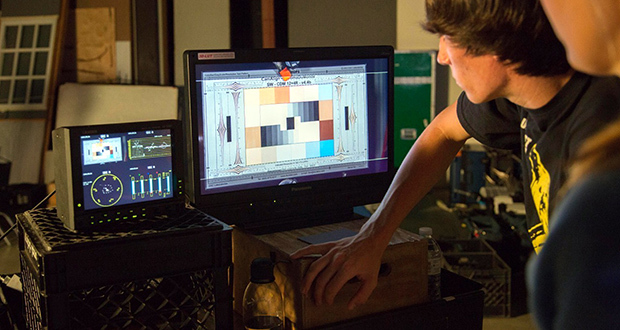 Multiple-award-winning film producer and cinematographer Matt Siegel chose a Leader LV5381 four-input multi-SDI monitor for use during his recent seminar on Digital Cinematography at The Maine Media Workshops. Designed for emerging cinematographers, the course explained the advantages of using digital technology and explored the challenges and limitations of various digital formats. "The seminar addressed the special requirements of lighting for digital cinema, using light meters to achieve correct exposure, working with the camera's dynamic range, balancing and correcting mixed lighting sources, and calibrating video monitors to accurately display images," Matt Siegel explains. "It also provided an introduction to the digital workflow, the post-production process and the output options for the finished video. "The LV5381 was fantastic, both as a production instrument and as a teaching tool. It provided a precise and efficient way of explaining the structure of video and audio signals, and showed graphically how to get the best possible image. Being able to view multiple displays such as a video waveform and chroma vectors alongside the actual video image was especially powerful." Matt Siegels background centers on commercials, branding and communications. His company, Imageworks, produces spots for international brands such as Audi, Coca Cola, Ford, Google, MasterCard, Microsoft, Sony and Toyota. He has won international recognition for his spot work, including CLIO, ADDY, TELE, Golden Lion, and ACE awards. 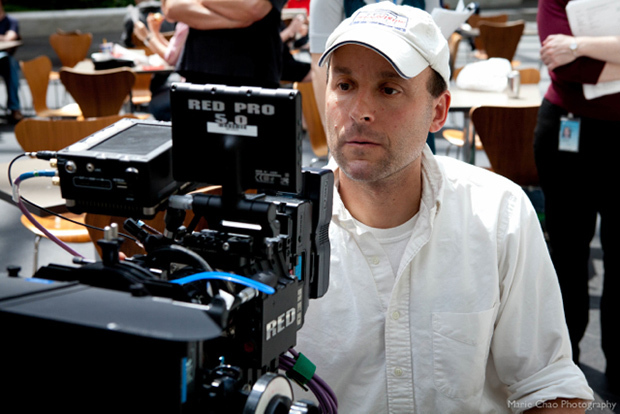 Matt balances his professional film career by conducting camera and lighting workshops around the world, demonstrating production techniques and new technology for ARRI, Canon, Panasonic and Sony. Leader's LV5381 is a complete multi-screen HD/SD-SDI video and audio test system measuring just 4U by half rack width. HD-SDI or SD-SDI signals from up to four cameras can be monitored on the instrument's integral 8.4 inch TFT-LCD screen, allowing fast alignment of gain and black balance. Picture monitoring features include colour temperature specification; brightness, contrast, and aperture adjustment; and the display of gamut error locations. The four channels can be viewed individually at full-screen size or simultaneously. Each input channel can be assigned its own colour to simplify comparison of video signal waveform and vector displays. Selectable display parameters include video signal waveform, chroma vector, five-bar video peak level or picture monitor. A level meter display shows embedded audio. Transmission error can also be displayed. Incoming Y/CB/CR signals can be viewed as as RGB or pseudo-composite waveform with line selection and adjustable waveform magnification. The LV5381 accepts tri-level sync signal or can synchronize to NTSC or PAL black burst. Up to 30 front panel presets may be stored internally. Captured data can be viewed onscreen and saved as bitmap files to USB memory for export to a PC. Each LV5381 comes complete with CINELITE and CINEZONE video signal luminance information analysis tools. CINELITE allows any three points on the picture to be selected. It then displays their f-stop numbers, percentage values, and level values. The size of the measured point can be adjusted from a single pixel to the average value for 9 or 81 pixels. CINEZONE enables luminance levels in a picture to be displayed in a separate color. This allows the overall luminance distribution of a still or moving image to be checked intuitively. Over-exposure, underexposure, and different luminance levels in dark areas can all be spotted quickly. Maine Media College (www.mainemedia.edu) began in 1980 as a partnership between The Maine Photographic Workshops and University of Maine at Augusta. In 1996, the college was officially founded under the name Rockport College and was granted the authority to confer Associates of Arts and Masters of Fine Arts degrees, as well as Professional Certificates in photography, film and multimedia. Established over 40 years ago in the USA by Leader Electronics (Yokohama, Japan), Leader Instruments Corporation (www.leaderamerica.com) provides customer support, sales and marketing services for a select number of high- technology manufacturers with specific focus on the broadcast and professional video market. Leader Instruments operates a fast, efficient and highly experienced direct customer sales and support channel. Leader Instruments has offices with local representation in Los Angeles, New York, Dallas and Louisville plus warehousing in Los Angeles.